Yoga is an art in conscious living. By the systematic use of the ancient yoga techniques we awaken in ourselves self-awareness, that in turn opens the gate to deeper inner experiences, brings new energy, optimism and joy. Through simple physical and mental exercises Yoga harmonizes us with the positive energies of nature. This gradually strengthens the body along with increasing inner balance and health. Through different forms of meditation and deep relaxation, the mental tension is released and awareness arises spontaneously, which leads to peace, clarity and better understanding. The seminar is aiming at giving each participant an opening into yoga and meditation, through a personal and direct experience. A wide range of methods will be shown during the stay and it will be easy to implement them at home after the seminar. The seminar contains of two levels: Yoga I and Yoga II. Yoga I is a gradual introduction to all the different basic practices. In Yoga II the different practices are integrated into one final practice. So, in this way level I is the foundation for level II . Each day during the seminar everyone will gradually be led through the different practices. In this process there will be a natural deepening and understanding. This will be backed up with the traditional teachings on yoga and meditation. Yoga is a practice, but no practice can be done properly if we don’t have correct understanding. So especially in the first days of the seminar there will be given clear explanations of how yoga and meditation have to be practiced as to give the right results. Meditation is a process in which the goal is to go deeper into our inner world, to expand our awareness, to gain a better understanding and learn to see things as they really are. All spiritual traditions have methods of meditation. In this seminar we will focus on a wide range of meditation methods. Surya Namaskara (Sun salutations) are based on 12 dynamic movements synchronized with the breath, which brings us in harmony with the sun. The sun being the source of all life, with this practice it is possible to increase our health and wellbeing. Taiji Qigong The breathing exercises in the Taiji Qigong style. Moving the body in a slow pace synchronized with the breath, the life energy (Qi/prana) is strengthened and balanced.Taiji Qigong is a practice from China, and has the same foundation as Hatha Yoga, the life energy. Also the effects of Taiji Qigong are similar to Hatha Yoga so it is beneficial and harmonious to implement Taiji Qigong in a yoga program. Self observation Attention or mindfulness, is a very important part of a yoga practice. The goal of yoga is consciousness so when we begin to witness ourselves yoga has truly started. Shatkarmas (Purification techniques) for increasing the effect of the yoga practice. Purity of the body and mind is very important. Hatha Yoga Balancing the life energy, balancing the polarity of our being using asanas (body postures) and pranayama (breath regulation). It cleans the energy channels (nadis), so the life energy (prana) can flow freely. 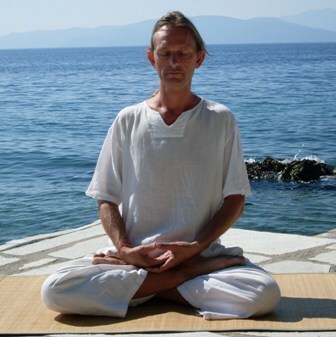 Kriya Hatha Yoga is a form of Hatha Yoga were asanas, pranayama, and chakra awareness is integrated into one practice. Nidra Yoga is deep relaxation, meditations laying down. developing our self-awareness. Raja Yoga is meditation done with concentration of the mind. 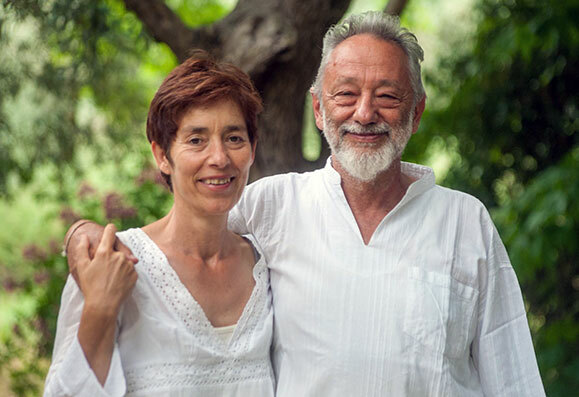 Jnana Yoga is developing direct insights into the way things truly are. To be more conscious about the ways of life itself. When the mind becomes more still we are able to see things more clearly and our conflicts with life begins to diminish. Karma Yoga is living without expectations. Most of the time we act because of expecting something in the future. Letting go of the fruits in the future and make the Now our primary focus is Karma Yoga. Bakti Yoga is surrendering the ego. Freeing ourselves from feeling separated from life and other humans opens the heart and life becomes full of acceptance and joy. For those who would like to know more, will find a description of the actual practice.in the overview of a typical day.